Toppan, a Japan-based global printing company, and Rekimoto Lab of the University of Tokyo recently introduced their research collaboration on IoA, the Internet of Abilities. IoA is a concept proposed by Professor Jun Rekimoto which focuses on augmenting human abilities beyond the constraints of time and space. 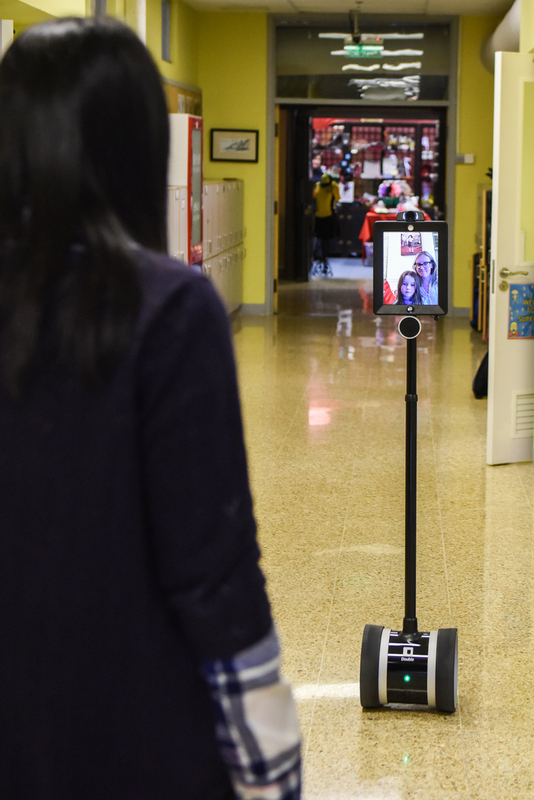 Initial experiments on remote telepresence featured Double Robotics' 360 Camera Dolly. The team successfully captured immersive 360 video and projected it onto a remote dome, Jackin Stadium, for sharing the experience with multiple persons. 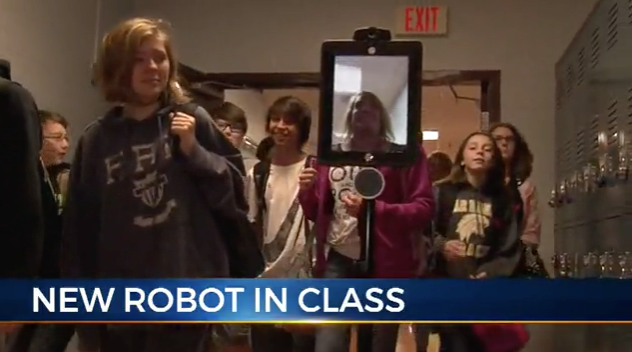 Homebound students at Sycamore Middle School in Cheatham County, Tennessee will never miss a day of class again thanks to one group of fellow students. The group thought of the idea to purchase a Double after a fellow peer was out of school for an entire semester while recovering from surgery. They created and presented a compelling PowerPoint to the school board, and received a Double within three months! 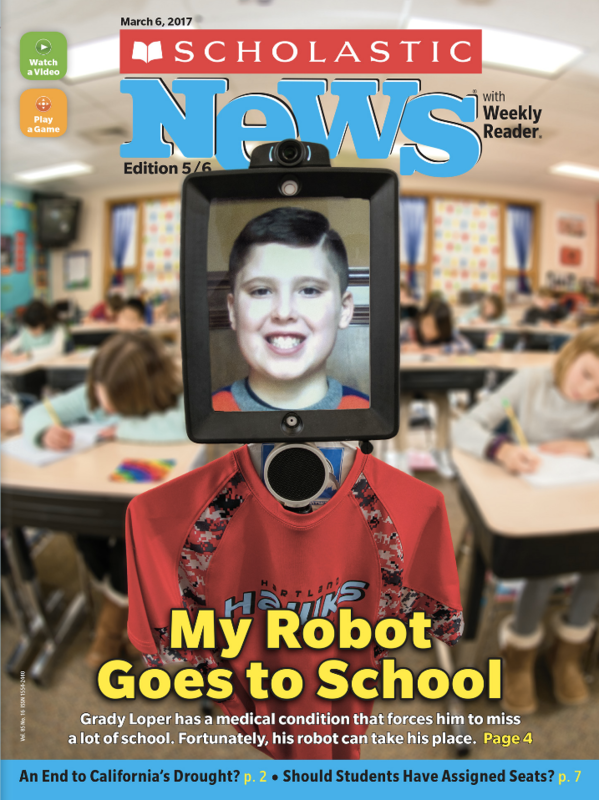 Double Robotics was featured on the cover of the March 6th edition of Scholastic News! Fourth grader Grady Loper of Wisconsin has been attending school via Double due to a rare medical condition that keeps him from going to school in person. Check it out! The latest Apple iPad, boasting a 9.7-inch Retina display and 10-hour battery life, has been tested by our team and works with Double. You will notice it's the same thickness as the first generation iPad Air, but the processor and graphics run a bit faster than the iPad Air 2. 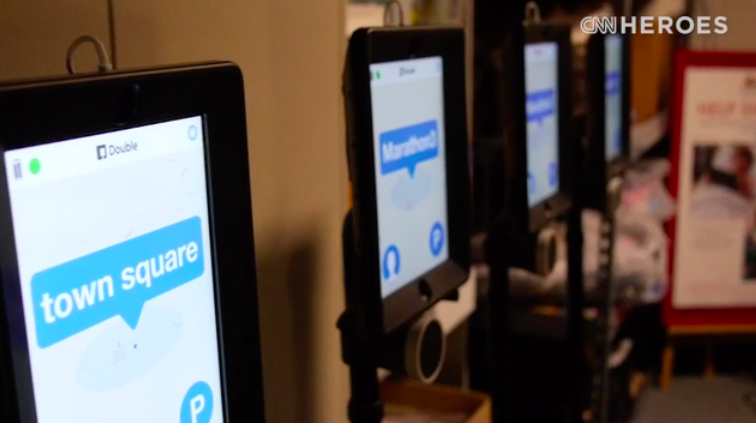 Visit our Support page at www.support.doublerobotics.com to learn more about iPad setup and support. Leslie Morissette, founder of Grahamtastic Connection, has been honored by CNN as a CNN Hero, for her work in providing free technology for home- or hospital-bound kids. 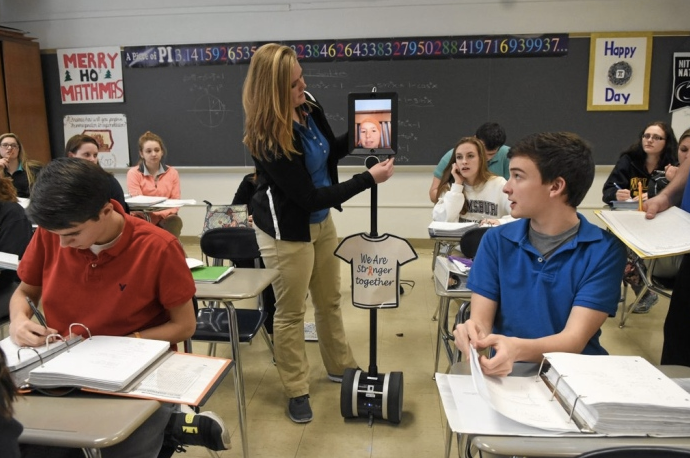 Leslie lends telepresence technology, like Double, to ill kids so they can stay connected to their classrooms. We're honored to work with Leslie and continue providing a way for sick students to attend school. The staff at Ronald McDonald House Charities in Edmonton, Canada, recently introduced Double Robotics to keep families connected with other loved ones while they reside at the House. Now, families from all over the country, and even the world, can stay in touch during what is often very challenging times. Check out the clip from CTV News!